This project aimed at promoting the (re)structuring of the Geographic Information System (SIG) of the Maia City Council (CM Maia), tailoring it to the new municipal, inter-municipal and national requirements for the achievement of the service interoperability and geographical data rules. In the context of the digital transformation of the territories, it is important to promote the production of geospatial information and to proceed with an open data “policy” that significantly extends the user base of the geographic information, to promote the enhancement of knowledge on the territory and the territorial dynamics, and to stimulate the innovation in terms of decision and operation of the territories. The promotion of the geographical information and the geographically-based technological infrastructures in support of the organisation and the systematisation of data sets held on different producing entities proves to be an immediate strategic option to answer the territorial challenges that arise in terms of the Public Administration and the Territorial Governance. On this matter, Portugal has obligations in the management and the provision of data and services, according to European principles and rules provided in the Inspire Directive (Directive 2007/2/EC of the European Parliament and of the Council of 14 March 2007, implemented as national law by Decree-Law 180/2009 dated 7 August, amended by Decree-Law 84/2015 dated 21 May and by Decree-Law 29/2017 dated 16 March). This Directive requires the public authorities at a national, regional or local level, to share geographical data sets and services, on a reciprocity basis and preferably free of charge, to ensure the long-awaited interoperability according to mutual technical prescriptions. For two years, and with an investment of approximately half a million Euros, this project focused on the need to strengthen the human structure with knowledge in terms of SIG, acting on the people of this organisation, training teams and institutions (internal and external), for both the production of municipal geographical information in quantity and quality and the restructuring and development of a geographically-based infrastructure that enables the interoperability of data and services (SIG MAIA system). This project also ensured great work tools, improving on the existing ones with the acquisition of high-performance hardware as well as with the provision of more and better information with the redesign of the institutional portal and new ways of interacting with the citizens. Through the team composed by collaborators Lígia Silva and Ricardo Henriques, INESC TEC's work essentially revolved around skill training activities, (re)organising processes and systems, strengthening the collaboration with the SIGMAIA development team, namely on the action plan proposed for its implementation, the identification of geographical data sets appropriate to the organisation’s “business” and standardised with the data themes of the Directive and with the design of an “Inspire compliant” data model. 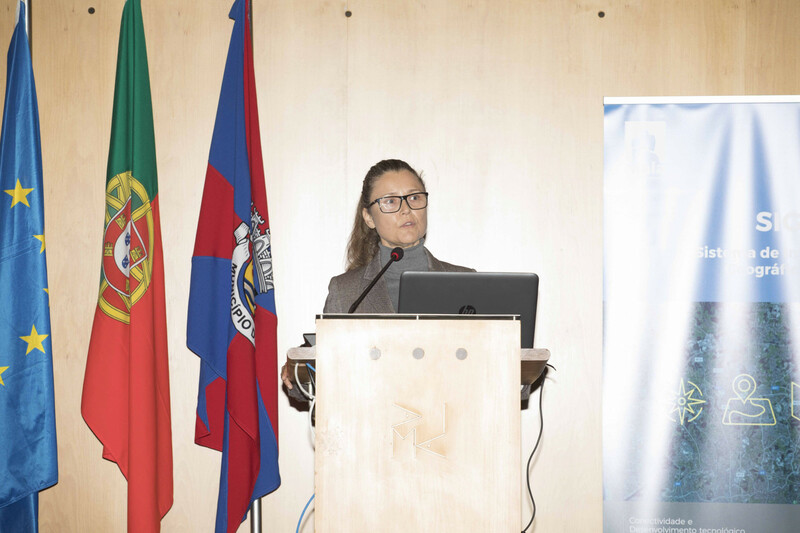 The public dissemination of the project’s results took place on 28 February on CM Maia, with the presence of the Porto Metropolitan Area (AMP) and stakeholders (PH Informática and Wiremaze), with several institutions also being invited to attend the event such as Direção Geral do Território, the Norte Portugal Regional Coordination and Development Commission, the National Associations of Portuguese Municipalities, the Faculties of Arts, Architecture and Engineering of the University of Porto, the University Institute of Maia, the University of Aveiro and the municipal companies SMAS and Maiambiente. Being part of AMP’s Pacto para o Desenvolvimento e Coesão Territorial (in English: Territorial Pact for the Development and Cohesion) and anchored on the Integrated Strategy for Territorial Development for NUT III, this project obtained funding from the NORTE 2020 Framework Programme - Promoção das TIC na Administração e Serviços Públicos (in English: Promotion of ICT on Administration and Public Services). Over the next years, INESC TEC will continue to collaborate with CM Maia, aiming to complete the implementation of a geographically-based robust infrastructure for the city of Maia, whose development principles are the interoperability and the provision of geodata for innovative applications and services.